Non-governmental organisation (NGO) Greenpeace has called on the government to make ‘bold and courageous’ energy choices, to ensure a cleaner energy future without any additional nuclear and coal-fired power, after construction of the Medupi power station. This would require a much more ambitious renewable-energy policy, climate campaigner Melita Steele said. Greenpeace launched its report entitled ‘The advanced energy [R]evolution’ – a sustainable energy outlook for South Africa,’ in Johannesburg on Wednesday, after meeting with Department of Energy (DoE) officials, as well as the Minister, about the report. Steele said that the NGO has started conversations with various government departments, renewable energy industry stakeholders, other NGOs and Eskom, to engage on energy issues and put forward an alternative position. She noted that while NGOs and government often had very different positions, there was a lot of common ground. ‘We accept that what we ask for is a lot, but if you look at the effects of catastrophic climate change, we need to do a lot,’ Steele added. Although the DoE has released the policy-adjusted Integrated Resource Plan 2010 (IRP2010), Greenpeace was lobbying for new decisions, and adjustments to be made to the plan. The major push was for the government to more than double its target of 23% of electricity from renewable sources by 2030, to 49%, which Greenpeace believes is achievable. At present, about 1% of South Africa’s energy generation mix is derived from renewable energy. Greenpeace International renewable energy director Sven Teske said that South Africa had a major opportunity to become an African renewable energy production and manufacturing hub. He said that this was viable because the country had a potential domestic market for renewable energy, as well as a relatively skilled workforce, stable political climate, and sufficient port infrastructure for exports. Compared with the IRP2010, Greenpeace’s energy [r]evolution scenario to 2050 would be significantly more expensive. If the reference scenario required about $181-billion investment, the energy [r]evolution scenario would require some $404-billion. However, Teske notes that the future cumulated savings on fuel costs would be significant and go some way to balance out these costs. He also noted that more jobs would be created through greater renewable energy input. 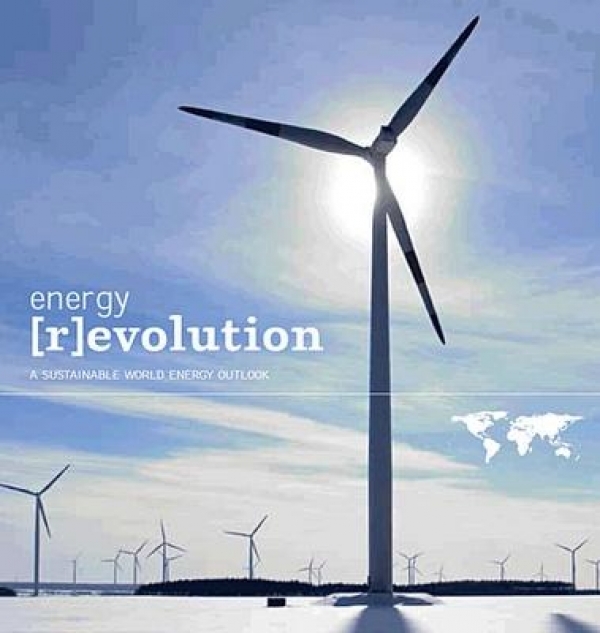 Where the IRP2010 envisaged 133 000 jobs created in the energy industry, Greenpeace expected that through its energy [r]evolution scenario, some 140 000 jobs could be created. Greenpeace was also asking that the government completely remove nuclear power from the future energy plans, and in the interim conduct an independent safety review of the technology, particularly after Japanâ€™s Fukushima nuclear incident. It was also stated that Kusile power station was not needed and construction of coal-fired power stations should stop after the construction of the Medupi power station. Greenpeace also strongly advocated greater energy efficiency through stricter standards and targets. ‘This report clearly demonstrates that there is no technological barrier to achieving a pathway to 100% renewable energy. In fact, with the political will and South Africa’s abundance of renewable energy resources, the country could easily become the renewable energy leader in Africa,’ emphasised Steele. The Greenpeace report provided a comprehensive country specific energy concept, giving analysis of how to restructure South Africa’s energy system based on an assessment of the potential proven renewable energy sources, energy efficiency and the use of efficient, decentralised co-generation. Download the report here. Find more info here.